The ultimate in luxury living, this beautiful walk in wardrobe offers a tranquil place to choose your outfits and get ready for the day. 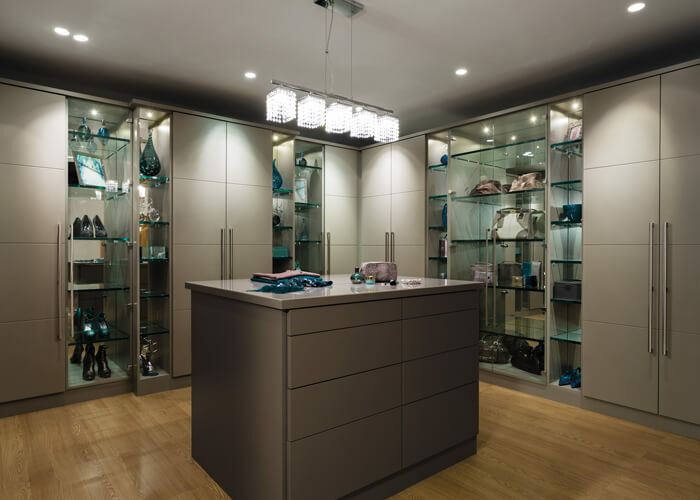 Open shelving allows you to display your collection of handbags, whilst our range of storage options within the wardrobes, such as pull out trouser hanging racks and glass fronted drawers, ensures your possessions are stored away neatly. 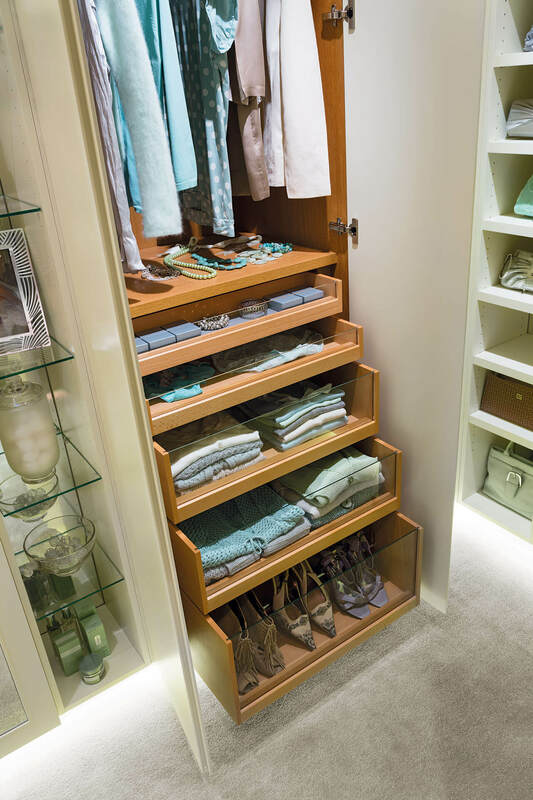 This beautifully designed walk in wardrobe is the ultimate in luxury for anyone with a penchant for fashion. 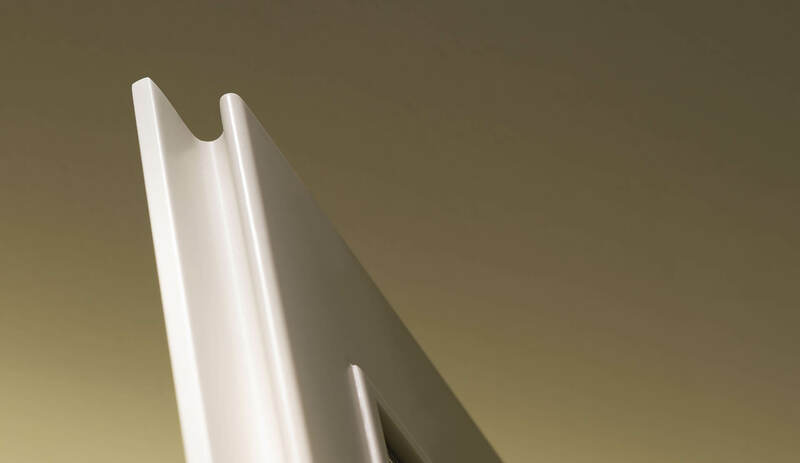 Uninterrupted smooth lines are possible with our handleless doors, for a sophisticated and streamlined finish to the room. 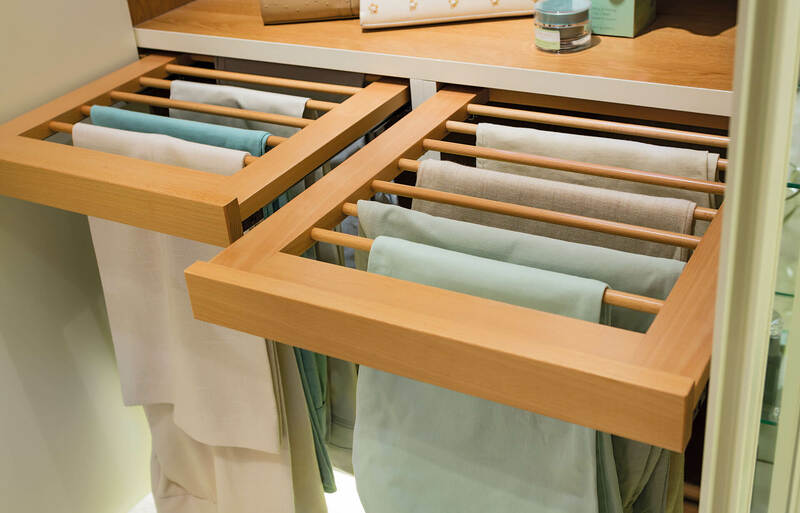 Effortlessly store your trousers without the need for hangers with pull out trouser storage, ideal for more delicate garments. 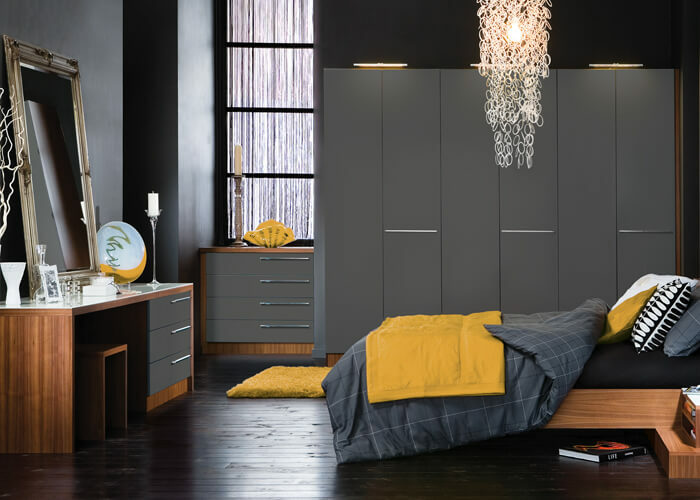 This painted bedroom furniture is an innovative and stylish solution to everyday storage problems.